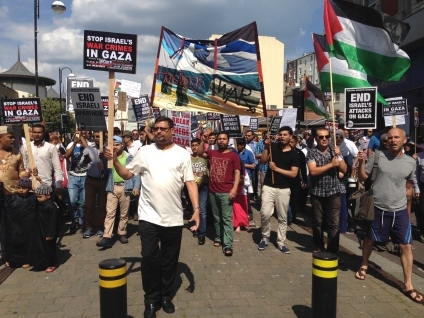 Politicians have been making excuses for their inaction against Israel's onslaught and massacre in Gaza. 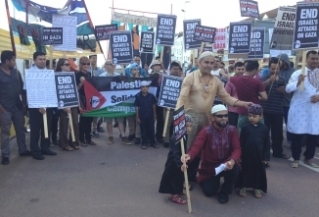 But people in Hastings took action and joined the world-wide opposition to Israel's campaign of terror against Gaza. Israel is increasingly seen as a rogue state - targeting schools, hospitals, mosques and churches. The march started at the Pier and made its way to the Town Hall. With less than 2 days to organise this action, the response from local people was quite overwhelming. "End the arms trade with Israel" "Sanctions Now"
People joined the demonstration along the way, increasing our numbers by the time it arrived at the Town Hall. Palestine Solidarity Campaign members gave out leaflets to passers-by explaining the aims of the march, which included the demands: "End the arms trade with Israel" and "Sanctions Now." Several hundred signatures were added to the petition: "End the bombing, End the killing, support international law." 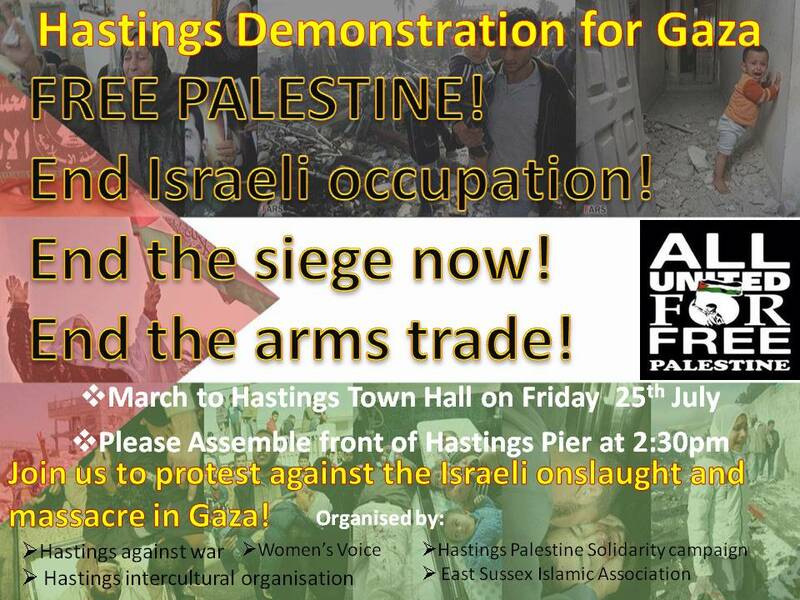 At the Town Hall there were speeches by the organisers - Hastings Palestine Solidarity Campaign, Hastings against War, East Sussex Islamic Association, Women's Voice and Hastings Intercultural Organisation. A statement by Sarah Owen, local prospective Labour candidate, was read out. Amber Rudd, local MP, was invited to the demonstration, but did not reply. The names of the children murdered by Israel (numbering 185 at the time) were read out. It's essential to remember that these children have names, they had a future, a life to lead - until the Israeli war machine murdered them. 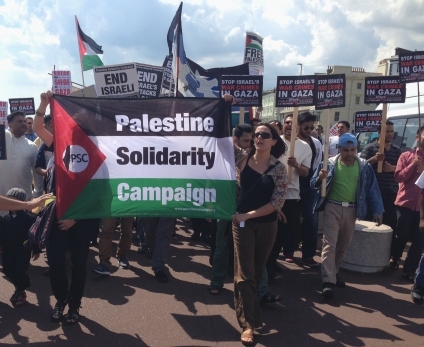 Speakers denounced the multi-million pound arms trade between the UK and Israel, demanding that it be ended. Reference was also made to the extent of US military aid to Israel, which amounts to $8.5 million a day. Speakers pointed out the importance of the movement to boycott, divest and sanction (BDS) as something we need to get involved with. 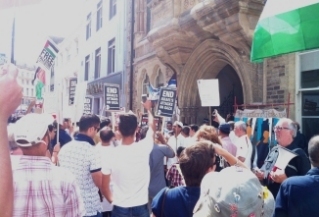 Just as the boycott movement helped finish off apartheid South Africa, the BDS movement will play an important part in finishing off apartheid Israel. 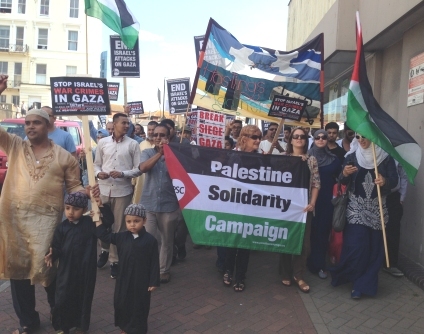 It was excellent to see the local community uniting in its opposition to Israel's war crimes.This unity is sure to continue. 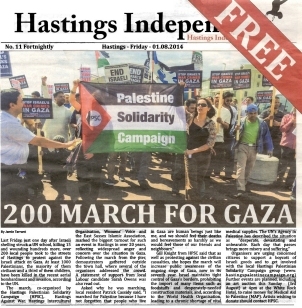 Amongst the coverage in the local media is the Hastings Independent front page article (left). People who were there will argue that the number quoted attending the march is a big underestimation. Thanks to the Hastings Independent for permission to copy. The full-sized article is here. 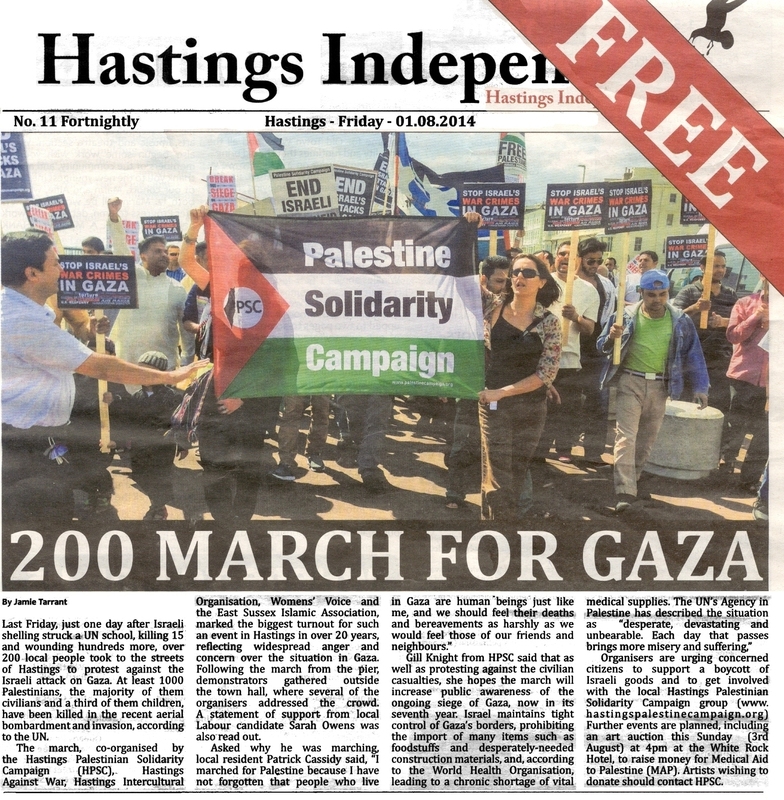 "Hastings Peace Rally in Support of Gaza, Palestine" photo display in the Hastings Observer. The leaflet promoting the demonstration is here. While the UK government calls for "peace," it is quite happy to sell arms to Israel. War On Want has stated that the British government awarded Israel £130 million in licensed arms exports between 2008 and 2012. The UK has awarded almost £50m in military licences to Israel in the last five years, including £10m last year. US Military aid to Israel: $8.5 million a day. By far the biggest suppllier of military harware to Israel is the US. The US gave $3.1 billion in Foreign Military Financing (FMF) to Israel in 2014. In addition, the U.S contributed $504 million to the joint US-Israel Missile Defense Program during 2014. $30 billion of US military aid on its way to Israel. Over the period 2008-19, the US is set to provide military aid to Israel worth $30 billion. Total US military aid to Israel so far: $3,435.9 billion. Since 1959 the US has given Israel a staggering $83,435.9 billion in military aid. 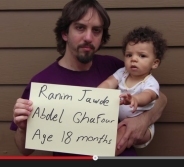 The website of the #Gaza Names Project is here. "Humanize Palestine attempts to restore the humanity that is often stripped away when Palestinians are reduced to calculative deaths, forgettable names, and burned and mutilated bodies, rather than people who shared loved ones, stories, dreams and aspirations."